Breast density tends to be higher in premenopausal women and in women taking hormone replacement therapy. As women age, the glandular and stromal components of the breast tend to disappear and the fat component tends to predominate. However, some young women have fatty breasts and some elderly women have dense breasts. Breast density patterns also tend to run in families, so women are likely to notice breast densities similar to their mother or sister. Efforts to increase public awareness of breast density are also motivated by its association with an increased risk of breast cancer. In fact, women with dense breasts are four times more likely to develop breast cancer than women with fatty, less dense breasts. In addition, breast tissue density influences the ability of both physical examination and screening imaging tools to detect the presence of breast cancer. The four levels of breast density that may be detected in mammograms. Levels 3 and 4 should be disclosed to doctors and their patients. How is breast density measured? Breast density is divided into 4 levels based upon the amount of glandular tissue and stroma compared to the amount of fatty tissue contained within the breast (See Image Above). Level 1 breast density is mainly composed of fatty tissue and contains less than 25% glandular tissue and stroma. Level 2 breast density contains between 25-50% of glandular tissue and stroma. Level 3 breast density contains 51-75% glandular tissue and stroma. Level 4 breast density contains greater that 75% glandular tissue and stroma. The effort to improve breast cancer detection led California legislators to pass the California Breast Density Law, which requires mammography providers, beginning April 1, 2013, to notify women if they have Level 3 or Level 4 breast density. 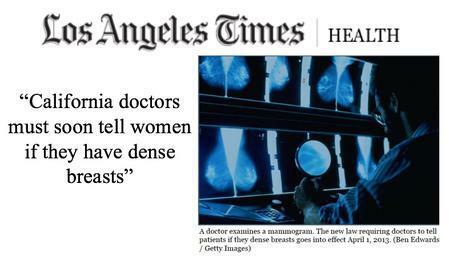 The law also mandates that women must also be notified that high breast density may increase their risk of breast cancer and that dense breast tissue can make it harder for mammograms to detect cancer. 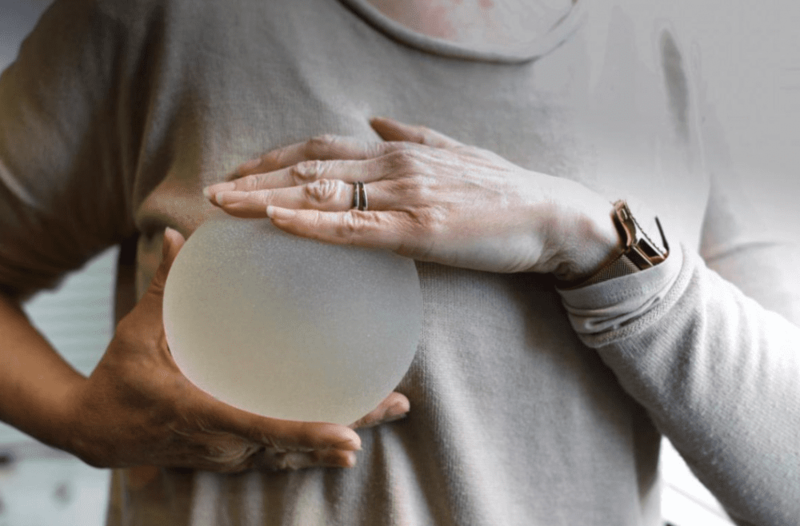 The Breast Density Law was originally scheduled to expire on January 2019, but legislation (SB-1034) was introduced by Senator Holly J. Mitchell (Los Angeles) to remove the law’s sunset clause before it was ultimately re-enacted by Gov. Jerry Brown, ensuring that the law will stay in effect until January 2025. Notably, the legislation explicitly states that the law “shall not be deemed to a create a duty of care or other legal obligation” beyond the duty of mammography centers to notify patients and their providers of the hazards of high breast density. One recent development that has complicated the use of annual screening contrast-enhanced MRI in dense breast women is the issue of gadolinium retention in the brain, first reported in 2014. Gadolinium-based contrast agents are essential for MRI imaging of the breasts. Although there is not clinical evidence that directly links gadolinium retention to adverse health conditions in patients with normal renal function, the medical community is beginning to rethink liberal use of breast MRI for high risk screening, particularly for younger women who might otherwise face a long life of yearly screening MRIs. (Gadolinium is contraindicated in women with renal insufficiency.) Gadolinium deposition is an area of active clinical research and the subject of much patient interest. However, in the absence of further guidance, health care providers and patients must participate in shared decision-making to determine if the frequency of breast MRI might be adjusted for an individual patient based on her personal risk and family history of breast cancer, age, and risk-tolerance. The simplified Breast Cancer Surveillance Consortium is only appropriate if there is no 2nd or 3rd degree family history of breast cancer or family history of ovarian cancer. Otherwise, the Tyrer-Cuzick Model is the more appropriate breast cancer risk assessment tool. Digital breast tomosynthesis (3D mammography) is preferred over the more widely available 2D digital mammography for detection of breast cancer in dense breasts. However, neither study eliminates the need for screening breast ultrasound which should still be performed in patients with dense breasts. In pre-menopausal, breast MRI should be scheduled 7-10 days after the first day of menstruation to minimize perfusion artifact related to breast hormonal changes. Mammograms are also more comfortable when performed during this period. Hand-held and automatic breast ultrasound (ABUS) have similar performance in detection of breast cancer in dense breasts. Family history assessment should account for 1st, 2nd, and 3rd degree relatives. The age of diagnosis is also essential for deciding when to begin moderate or high risk screening. Family history should also screen for indications for genetic counseling and testing. A positive result might automatically place you in a high-risk category. Ultimately, the art and science of medicine is helping you understand your personal breast cancer risk and helping you decide how proactive you should be regarding breast cancer screening. Hopefully, this article has provided a framework for how you may navigate this shared decision-making process with your doctor. 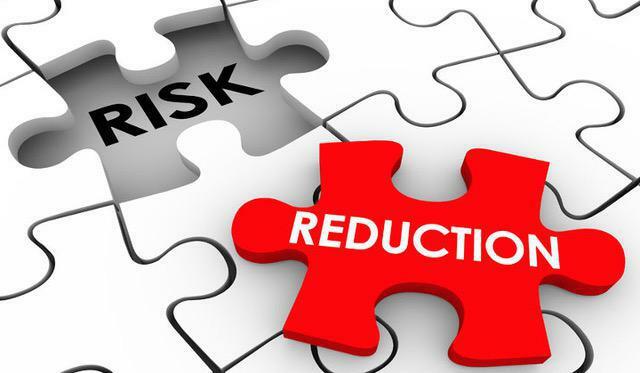 Check out the upcoming issue for a more detailed discussion of breast cancer risk assessment and breast cancer risk reduction. Every woman has some risk of developing breast cancer. However, the risk is not equal among all women. 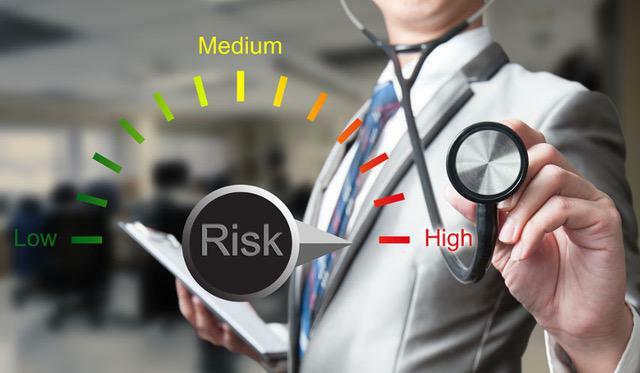 The goal should be to understand your personal risks and what you can do about them. There’s a movement afoot in America. From Maine to Florida, Texas, Oregon, and many states in between, the "Are You Dense?" nationwide campaign. How Dense Are Your Patients? The findings show that celebrities can influence the health care decisions of the general public, said study author Art Sedrakyan, a professor at Weill Cornell Medicine in New York City.